Tickets: $25 prior to the event; $30 at the door. 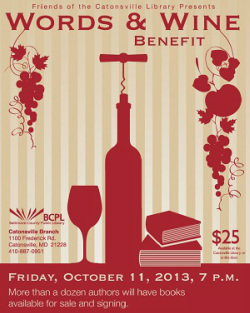 Enjoy wine, cheese and local authors... at the library! Stop back for updates about the authors attending. Savor gourmet cheeses and desserts.